Courageous, scrappy, fun-loving, active, clownish and fearless. 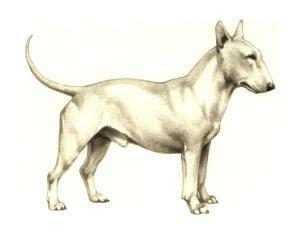 The Bull Terrier is a loyal, polite, and obedient dog. They become very attached to their owners. This breed can be a wonderful pet if very thoroughly socialized and trained, but not recommended for most households.